Home » Education » What Not to Miss in Indonesia? Find The 25 of Them Here! What Not to Miss in Indonesia? Find The 25 of Them Here! Vacationing in Indonesia can be a great experience of all your life time. 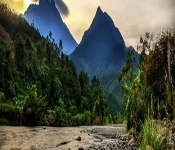 Looking at the Indonesia country itself, there are several potential things that can be gotten from experiencing long days vacation in this beloved country. As the first place we want to tell you, the Raja Ampat is the best choice in Indoneisa for the tourists who have the hobby of diving, swimming, or maybe surfing. In this form is small islands, there is this very natural sea ecosystem that hidden beneath the sea. And because of that, the divers will be much happy, because beside the ecosystem that exists, they also have that experience by paying a smaller price than in other countries. 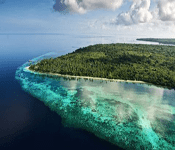 With so much benefits people will get, Raja Ampat is very recommened choice. And of course, Bali island must be mentioned on the list. Inside the island, there are so many many choices of attraction that the tourists can choose. All the places are well maintained to suit the life of tourists, especially the foreigners. Because of the contens the island has, many people really love this island, even putting some of their money as investors to improve the island. With the further development, the Bali island is having more and more attractions to provide. Beside the famous island of Raja Ampat, there is one location in Indonesia that is very famous for its beaches and exotic islands. The places called Wakatobi, a place with much beautiful sea that is famous for the divers, including the internationals. There are so many activities that you can choose to spend days in this place. Call it, fishing, diving, snorkeling, and casual swimming are only a few of the total activities that you can do in here. The rest, experience them for youself by visiting Wakatobi on the next holiday. 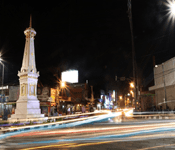 Moving from there, we’re gonna enter one place in Java island, the famous city which is known for arts and thick culture, and also not forget the existing palaces, the city of Yogyakarta. The city exists in a special region, its own special region. Well, the things to enjoy in here are of course the arts. You can see directly some forms of them, especially the dances and the famous Wayang Kulit. You can also have permitions to enter the palace, and do a little strolling inside, of course by the helping of a guide. If we already talked about the best attractions with the best natural sea habitat, and the best location that has the thick culture, now we move to the best natural foresty island, called the Borneo. The island itself is famous for its rain forest, the thick ones. That’s why, the island was used to record some movies, especially the famous movie like Anaconda and the stuff. Some audio assets of famous video games or movies also recorded in the forests, because the natural sounds of tress, and birds are cannot be found easily. And starting from this point to the 10th, we want to introduce to you about some Indonesian famous food, starting from this first one, the Rendang. 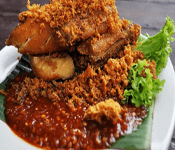 Almost every tourist knows the name of Rendang, Rendang even said to be the most delicious food in the world, based on a world poll in a television company in America. This special food can be found in a special kind of restaurant in Indonesia, Rumah Makan Pandang, or you can just all it as Pandang Restaurant. 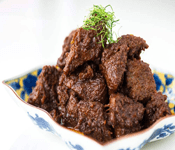 You there can find the delicious form of Rendang, Rendang Daging. The taste will spoil every one inside. Because of Indonesian really love the spicy foods, they always add some chillis in them. For the example, is this Ayam Penyet. There’s this method of food making, called Penyet, which is just giving a press on the meat. Like in this ayam penyet, they use special cooking utensil to press the chicken meat, and then the meat is added with the chilli, which they processed with the same method. And in the final step, they combine all of them in a plate. 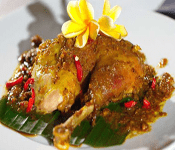 Another form of spicy yet tasteful food is Chicken Betutu, the traditional meal that famous and originated in the island of Bali. There are some different methods of cooking this stuff, including the traditonal and modern. Poeple usually use the modern technique on this age, because the making of Ayam Betutu with the traditional ways is needing a long time, even though the taste will be better. But, because of the easy method, people can produce it with ease and no complications. Moving from there, this is another Indonesian food that really famous in the Bandung area, that’s in the West Java. Many people also sell this stuff in some other areas beside Bandung, because its taste is somewhat special than the others. 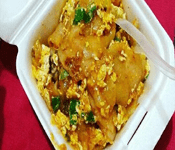 Having the rubbery texture of cracker that they call as the wet cracker or kerupuk basah, the combined with the combination of vegetables and eggs. The seller will combine them all together to make one plastic pack of Seblak that everyone loves. Also, another form of snacky food, is the Pempek Palembang. Pempek itself is famous in that specifi area, but people then again started to bring the food into some areas in Indonesia. 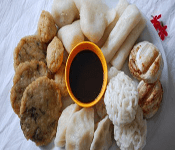 Because of there are some form of Pempek, people can choose the kind of Pempek they want. And those pempek are just made so easily, with only the frying cooking method. But, the main point of pempek is not complete without the existence of its special sauce, the Cuko. Cuko is of course a spicy, fresh, and sweet sauce that must be combine with the Pempek. So that is our list of things not to miss in Indonesia, and you should try them all of course. Sometimes people always remember the attractions, and just forget the other aspects. So, witht his article we hope that you, the tourist, can do much more to get all the experiences you’ll get from them. All of them are worth remembering and worth some promotions. Sure, people on the world must know these stuff. And of course, they will gladly visit Indonesia in the future. Spend Your Time in These Popular Vacation Spots in Indonesia ! 17 Typical Lunch in Indonesia That Have Fresh Taste!